Don’t get me wrong, I love my teapot as much as the next person. But when I want to take my time and savor my tea – whether it’s because I want to “meditate” with my tea, if I want to appreciate its subtleties, or if I want to see how the flavor changes over multiple steeps – I reach for my gaiwan. Although the gaiwan has only recently begun to find popularity in the Western hemisphere, it is the most common way of preparing tea in China and Taiwan. Simple, beautiful, and fun to use, it will take your tea experience to a whole new level! 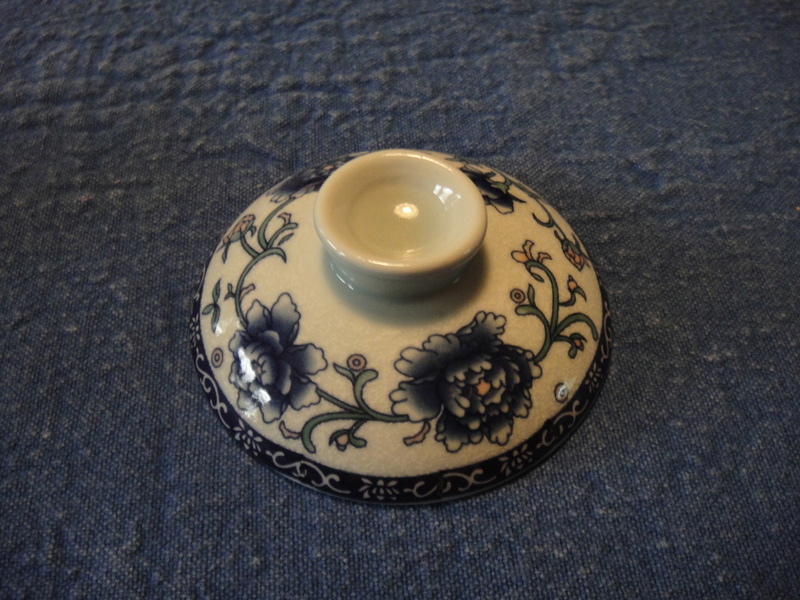 A gaiwan (pronounced “GUY-wahn”) is a small, lidded bowl that originated in China (its name literally means “lidded bowl.”) Its history dates back to the Ming Dynasty (1368 – 1644), during the peak of Chinese pottery making. 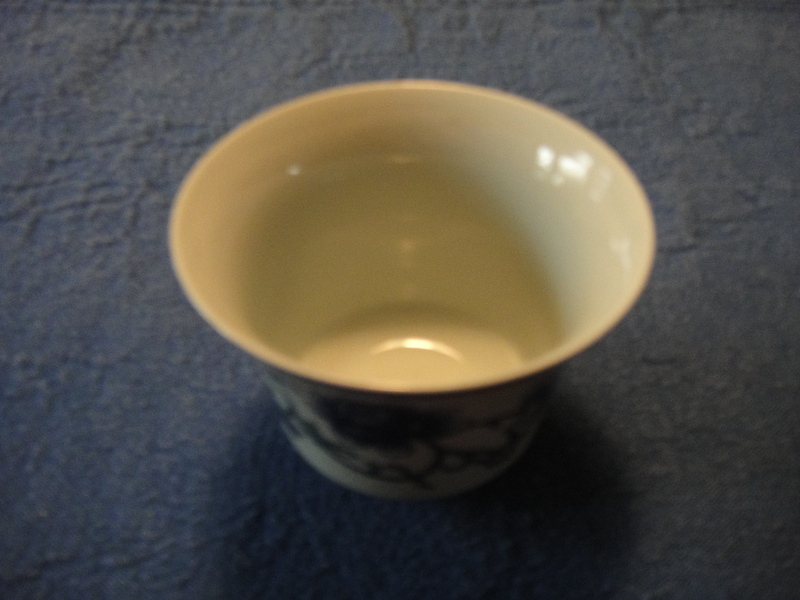 The tea leaves are placed inside the bowl, then water is poured directly over the leaves to steep. The tea can then be sipped straight from the bowl or poured into a separate container to drink. The lid: Traps heat, holds back leaves while pouring. 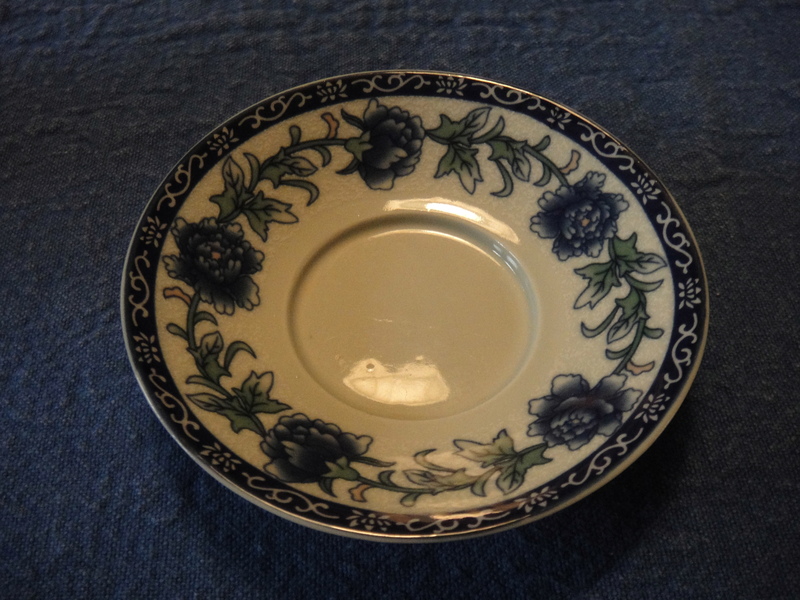 The saucer: Catches spilled water. Gaiwans are usually made of china, porcelain, or glass. They usually have a light-colored interior, allowing you to clearly see your tea leaves. Gaiwans are surprisingly inexpensive. Although they are hard to find in American stores, many online tea retailers carry them, usually starting around $15. I got mine (pictured on the right) on clearance for $8. 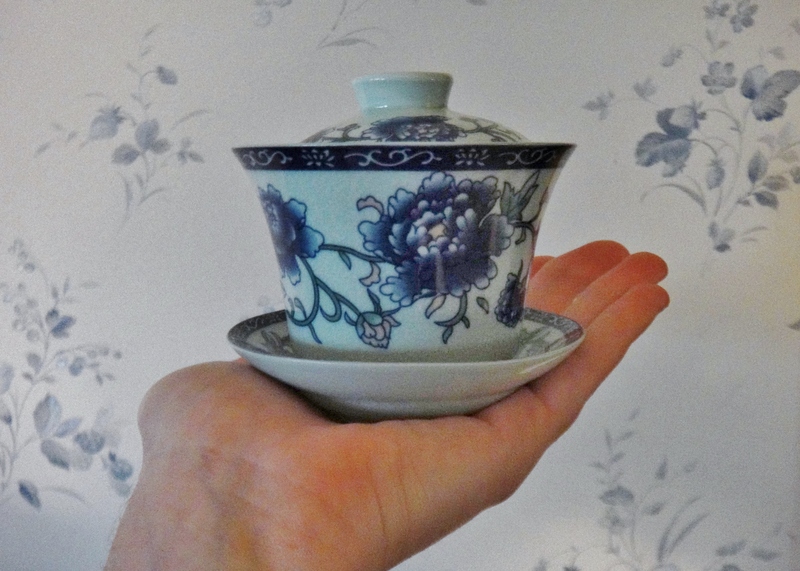 Gaiwans are generally much smaller than teapots. 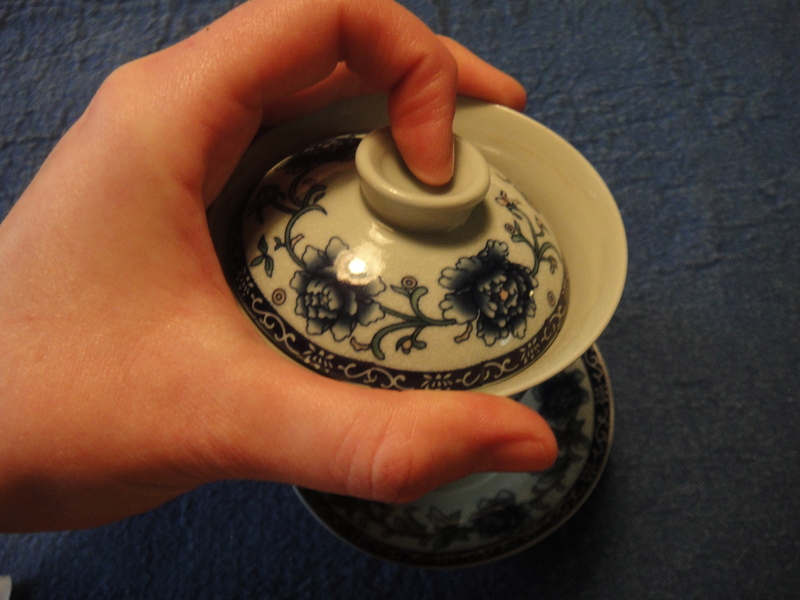 Whereas teapots can often steep many cups of tea at once, a gaiwan usually prepares one small cup at a time. Makes tea richer and more complex in flavor. 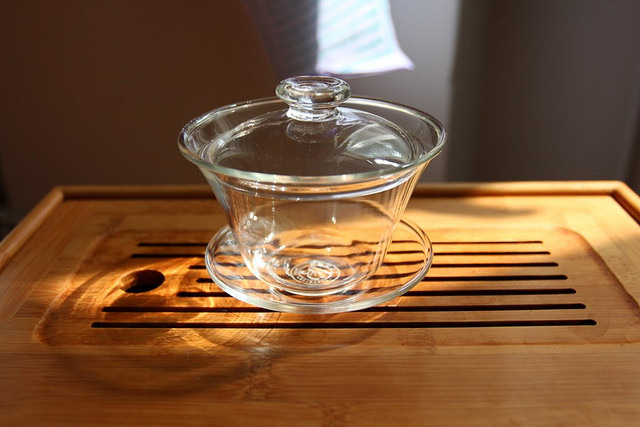 Warm the gaiwan by rinsing it with hot water. Pour your loose-leaf tea into the cup. Pour water over the leaves and infuse. You can either close the lid (which will keep in heat) or watch your tea leaves unfurl. Infusion times depend on the tea. I’ve seen some people say 10-15 s for the first steep, others say 30-60 s. Try shorter steeps at first. As a general guideline, add 5-10 s to each resteep. There are no rules as to how long each steep needs to be. Feel free to experiment. The narrower your time intervals, the more steeps you’ll get! So this is where things get tricky. 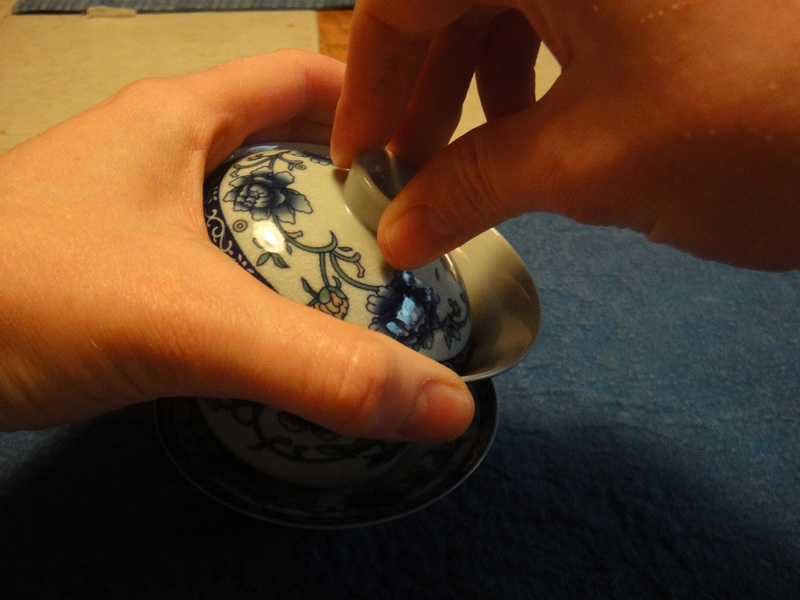 You have to be careful about how you hold your gaiwan when pouring, or else you’ll burn your fingers. I have seen a few different pouring techniques, but I’ve pictured two below here. The one on the left, a one-handed method, is the most common; the two-handed method on the right is easier to use for beginners, less steady hands, and for Yours Truly who is a klutz. Because it helps me a lot when I can actually see someone doing the thing I’m trying to do, I made a video. By no means have I mastered the technique, but you get the idea!